What makes Dzul-Ha Reef in Cozumel a true gem? Cozumel is a Mexican island known for many things, but experienced snorkelers know it for its incredible snorkeling tours. Dzul-Ha Reef is one of the so-called natural gems of this island. In the past, this area was not very popular, but soon after the snorkelers and other water sports experts have realized the real potential of this area, this reef and snorkeling from the beach became a real hit. It’s worth mentioning that you can find this area under the name Las Palmas too which makes sense – there are many palm trees around. Where is Dzul-Ha Reef located in Cozumel? To get there, you have to drive on Av. Rafael E. Melgar and take a right turn on Carretera Costera Sur. Of course, you can go there by boat too. Why is Dzul-Ha Reef the best snorkeling reef in Cozumel Island? Every reef in Cozumel has its beauty and specific characteristics. That’s why almost all of them are worth checking. 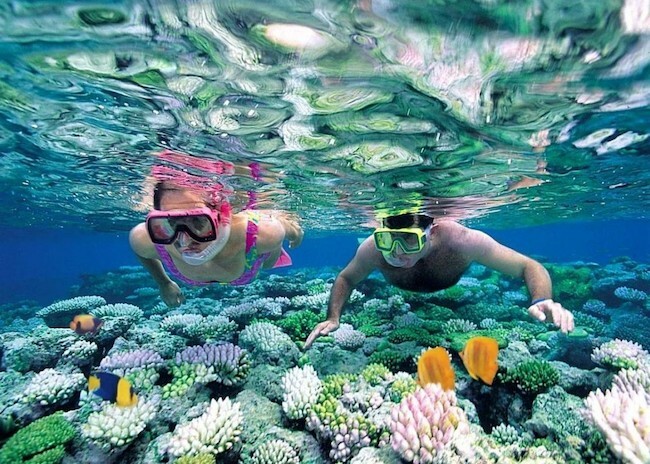 When it comes to Dzul-Ha, this reef is famous among snorkelers because it’s a shallow reef. It means that it’s excellent for beginners. The depth is between 10 and 15 feet. Many of the guests of the local bar are involved in snorkeling. There is no doubt that this is an exciting activity before you head for dinner. If you are entering the water from the beach, you should know that there are no urchins or rocks around which means that the reef is safe. 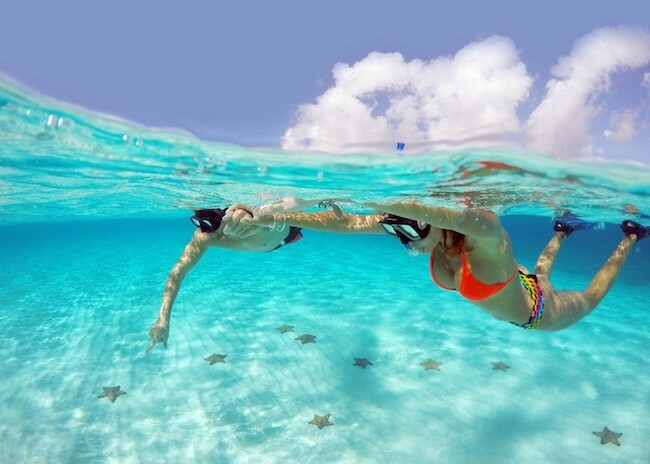 It’s the best idea to wear swim shoes when snorkeling. Dzul-Ha Reef provides some spectacular views. What marine life will I see when snorkeling at Dzul-Ha reef? Even though it’s a rare occasion, you can see some turtles too. These are just some of the reasons why hundreds of snorkelers are visiting this part of Cozumel every year. When it comes to fish, it’s good to know that many of them love being feed, but you should talk to your guide before engaging. Overall, Dzul-Ha Reef is a great cozumel snorkeling coral reef and area in general which is worth visiting at least once when you are on Cozumel Island. The warm and shallow waters rich with different kinds of marine animals and plants will make your snorkeling adventure memorable.